Listen to reporter Karen Burkett as she tours a technology incubator on the campus of Florida Atlantic University in Boca Raton and interviews incubator President & CEO Andrew Duffell. The Technology Business Incubator on the campus of Florida Atlantic University in Boca Raton currently hosts 22 technology companies in the areas of pharmaceutical development, software development and logistics management. 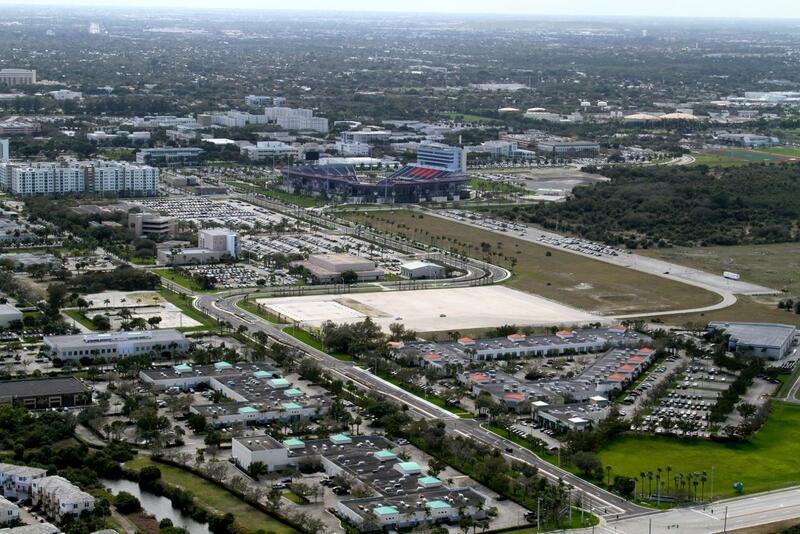 CEO Andrew Duffell runs an incubator at a research park on the campus of Florida Atlantic University in Boca Raton. He’s not only concerned about who joins the incubator – he’s concerned about getting them to interact, emphasizing that theme repeatedly. "One of the most important things about an incubator is the ability to bump into each other and to work together," he said. "We chose this suite because of its layout, which lends itself to collaboration. (As for the lounge,) it's a place with newspapers and maybe books so people can hang out and throw ideas around." It sounds like one big group project, but make no mistake, this is not school. It’s business. Duffell's incubator has been around for two and a half years. In fact, 22 early stage tech companies are living and growing at the Boca Raton facility. The start-up teams are learning things that are essential to running their companies. "You know they're developing their technology all the time but they have to be aware, as they build a company, about labor law, HR practices and IP (intellectual property) protection." If you peek inside the various incubator offices, you’ll see a small video studio, mobile app wizards and folks working on pharmaceutical development. The campus of Florida Atlantic University in Boca Raton. By definition, an incubator focuses on businesses in their infancy. These companies are learning to stand on their own, the same way a baby does before she starts to walk. "The essential aim is really to take as much of the burden of running a company off of their shoulders so they can develop their technology and commercialize it," said Kevin Hawker, who graduated from FAU in 2011. His startup, Think Soft, occupies space at the incubator and outsources work locally. "Right now, I can't really talk about what I'm working on but we do a lot of sports apps," Hawker said, " and we've been here about a year. It's great. I mean I've been in a lot of different offices but at this one there's more of a sense of community, more people around to work with and talk to." The goal of the incubator is obviously to create businesses and jobs. But Andrew Duffell never forgets his role as landlord. "Our ulimate aim is always to keep a company for about two years while they grow and establish themselves then graduate into the research park," he said. And by graduate, Duffell means becoming a longstanding and paying tenant of the research park at FAU. Learn more about South Florida’s technology sector in Part Five of WLRN's ongoing radio and online series, The Sunshine Economy, with host Tom Hudson airing Mondays at 9:00 a.m. on 91.3 FM.